Adalat is a treatment for Raynaud’s phenomenon. It works by reducing constriction in blood vessels, thus increasing blood flow to the fingers and toes. Adalat is a soft capsule treatment used for circulatory conditions such as Raynaud’s phenomenon. It contains an agent called nifedipine, which provides relief from symptoms by allowing blood vessels to relax and facilitating better blood flow. 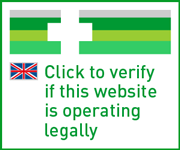 Bayer are the manufacturers of Adalat, which is only available to buy in the UK with a prescription. Raynaud’s phenomenon is a condition whereby blood flow to the fingers and toes becomes inhibited. This leads to temporary discolouration in the extremities, turning them white and then blue, and sometimes other symptoms such as pain, pins and needles and loss of sensation. These will usually pass after a few minutes or hours. It isn’t a serious condition but can be frustrating, due to its effect on the function of the hands. The condition is divided into two categories: primary and secondary. Primary Raynaud’s is where the condition occurs without an underlying condition, and accounts for the majority of cases. Secondary Raynaud’s may come about as a result of autoimmune illnesses such as rheumatoid arthritis, where the immune system attacks otherwise healthy tissue. Symptoms of primary Raynaud’s are often triggered by stress or cold weather. In the UK, the NHS estimates that there are around 10 million people living with Raynaud’s, making it an incredibly common illness. Cases where the conditions develops after the age of 30 may require further testing, to determine whether or not an underlying condition is present. Many cases of Raynaud’s will not necessitate medication. Self-help techniques, such as keeping the body warm, quitting smoking to improve circulation, taking measures to prevent stress and regular exercise can limit the effects. But in those cases where symptoms show no signs of improvement, treatment may be recommended. In Adalat, the functioning constituent is a drug called nifedipine. This is a calcium-channel blocker, which means that it prevents calcium from acting on muscle walls in blood vessels; a process which can cause them to tense up and constrict. In doing so, nifedipine helps the blood vessels to relax, allowing for better blood flow to the areas of the body being deprived; in the case of Raynaud’s, the fingers and toes. Please note we do not provide this treatment through our site. See your doctor if you think you may be developing symptoms, or are looking to renew your prescription for this item. Make sure you read the instructions in the patient information leaflet carefully before use, and that you adhere to the directions given by your prescriber. This will help you get the most out of your treatment and reduce the likelihood of side effects. This will usually be a dose of one 10mg tablet every eight hours, although your doctor may choose to start you on a lower dose of 5mg. The maximum dose is 20mg every eight hours. Avoid drinking grapefruit juice at the same time as taking the capsule, as it may affect its function. If you forget to take your capsule, do so when you remember, but make sure you wait eight hours before taking your next dose. Then continue the course eight-hourly. The above is only intended as a guide. Consult the leaflet provided for more detailed instructions. If you develop any serious side effects, such as an allergic reaction, stop taking the medication and notify your doctor immediately. Signs of an allergic reaction include: difficulty breathing; drop in blood pressure; fast pulse; swelling of the face, lips nose or throat; or hives. Headache, flushing, constipation, or oedema. indigestion, wind, feeling sick, muscle cramps, joint swelling, sleep disorders, anxiety or nervousness, reddening of the skin, nosebleeds, blocked nose, vertigo, migraine, dizziness, trembling, increased urinary frequency, painful or difficult urination, impotence, blurred vision, or raised enzymes in the liver. Pins and needles, inflammation of the gums, or bleeding gums. This is only a summary of the side effects associated with this medication. Refer to the leaflet supplied for a more comprehensive list. Let your doctor know if you are using any other treatments during consultation. This product may not be suitable for use in conjunction with the following: rifampicin; cimetidine; digoxin, diltiazem, quinidine or beta-blockers; quinupristin or dalfopristin; phenytoin, carbamazepine or valproic acid; cisapride; magnesium sulphate injections; erythromycin; ketoconazole, itraconazole or fluconazole; indinavir, nelfinavir, ritonavir, saquinavir or amprenavir; fluoxetine or nefazodone; tacrolimus; or phenobarbital. Do not drink grapefruit juice while taking this medication as it may affect its function. This treatment should not be used by those who have: had a heart attack in the last month; unstable angina; an allergy to nifedipine or any of the other ingredients of this medicine; a condition requiring treatment with rifampicin; narrowing of the aortic heart valve; ever had a collapse caused by a heart problem; or increasing blood pressure. It may also not be suitable for those who have: low blood pressure; a heart condition; diabetes; been receiving kidney dialysis; very high blood pressure; or liver problems. Yes, but excessive alcohol use may interfere with circulation and make symptoms worse. Yes, it should not inhibit your capacity to drive. However, if you think you may be experiencing side effects which are affecting your driving ability, refrain from driving and see your doctor as soon as possible. If you are pregnant or breastfeeding, discuss the use of this treatment with your doctor prior to use. Keep it in a safe place below 30°C and out of the reach of children. This tablet contains the following: nifedipine, glycerol, purified water, saccharin sodium, peppermint oil, macrogol 400, gelatine, titanium dioxide (E171) and yellow orange S (E110). If you are allergic to any of the above, do not use this product. No. Adalat is prescription only. If you are experiencing symptoms for the first time, see your doctor in person. They will determine which medication is the most appropriate for your condition. Please note this medication is not available to buy through our service.